These A Boards are available in 17 colours including 3 anodised, 12 powder coated and 2 wood grain finishes. Strong aluminium and steel construction provide great stability and they fold away easily for night time storage. 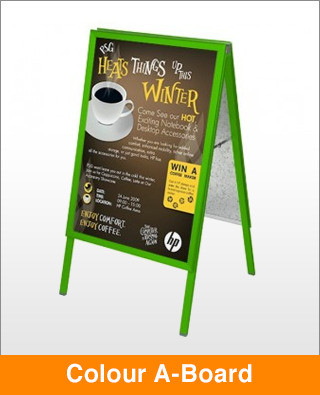 The frame incorporates our snap open and close system for fast poster change. Supplied with 2 full colour, high quality encapsulated posters.